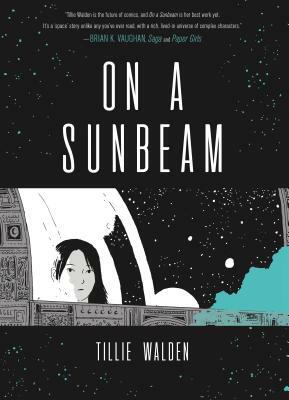 One of The Washington Post's "10 Best Graphic Novels of 2018"
Tillie Walden is a cartoonist and illustrator from Austin, Texas. Born in 1996, she is a graduate from the Center for Cartoon Studies in Vermont. Over the course of her time at CCS she published three books with the London based Avery Hill Publishing. Her graphic novels with First Second include her autobiographical work Spinning and the sci-fi epic On a Sunbeam. She is a two-time Eisner nominee and Ignatz Award winner who now lives in Los Angeles. When she is not drawing comics, Tillie can be found walking and listening to audiobooks or asleep with a cat.